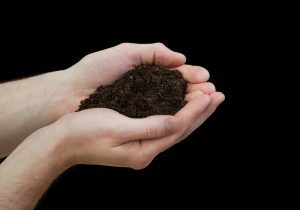 Two hundred years ago the soil contained 3000 gigatons of carbon, now half the carbon in the soil has been released into the atmosphere as carbon dioxide. Why is this important? It is a contributing factor in the earth’s loss of 60% of its soil. The current 1500 Gt of carbon in the soil is double the 750 Gt of carbon in the atmosphere as carbon dioxide. To understand how the carbon in the soil was lost we need to understand the carbon in the soil. The carbon in the soil is stored as soil organic matter (SOM). SOM is actually the remains of dead microbes. It contains all the mineral nutrients needed by plants and is carbon rich. 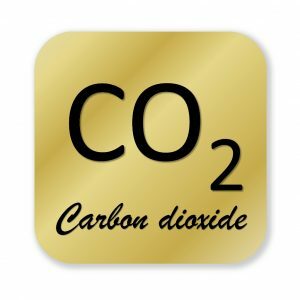 The plants don’t need carbon, they get their carbon from the carbon dioxide in the air, but the plants need the minerals in the SOM and they get those minerals from the microbes that feast on the SOM. The SOM is the inheritance, as the microbes feed on it, they deplete it and they feed the plant. The inheritance is supposed to be repaid when the plant dies and the microbes digest the dead plant and then die and become SOM. In a grazing system similar to the world as it was 2000 years ago, an animal eats the plant and the animal feces and dead bodies are returned to the system. Now some of the corn being harvested is sent from Iowa to other places around the nation or world and the inheritance is not repaid; the microbes disappear as their food disappears; and the plant is not being fed. One solution has been to use chemicals to feed the plant. The result is massive loss of SOM, leading to decreased microbes and loss of carbon to the atmosphere. This also is a factor in soil erosion, the inability of soil to maintain water and an increased need for pesticides because the microbes once protected the plants from invaders. Microbes are tightly bound to soil particles so they remain near the plant and they die and release their nutrients when the plant needs them. Chemicals are applied in one or several feedings and the only way they can remain where they are dumped is to be taken up by microbes or plants. This is a slow process and up to half of all chemical fertilizer washes away. As SOM is lost so are microbes and higher level of chemical fertilizers are needed to sustain plant growth. These chemicals are toxic to a microbe which leads to reduced SOM. Since SOM is over 90% the remains of dead microbes we must increase the soil microbial mass if we wish to replace it. This requires providing food for the microbes and decreasing microbial-toxic amounts of chemicals. Cover crops, organic fertilizers and circumspect application of chemical fertilizers can meet this requirement but the solution must be specific: each soil (and each soil crop combination) is unique in its nutrient needs and requires supplements that provide a balanced diet for the microbes. Some of the treatments researchers have used have been shown to increase microbes and SOM, but some organic treatments actually decrease SOM. Currently it is very difficult for farmers, who operate at 1-2% profit to risk a switch in their practice. Further, organic farming has been shown to decrease crop yield by ~20%. In Europe it has been reported that this loss is offset by lower input costs, less fertilizer, pesticide and water and maybe higher prices for organic products. In the U.S. there are farmers who have successfully implemented cover crops and other green initiatives as well as farmers who have paid a painful price for the same, but there need to be many more and it will be hard to convert the larger agricultural community without new tools to assess the possibility of success of a given strategy. Judith Fitzpatrick, Ph.D. is the president Prolific Earth Sciences. You can visit here website at Microbiometer.com.